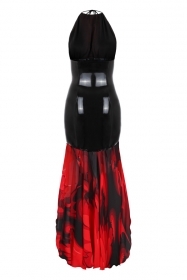 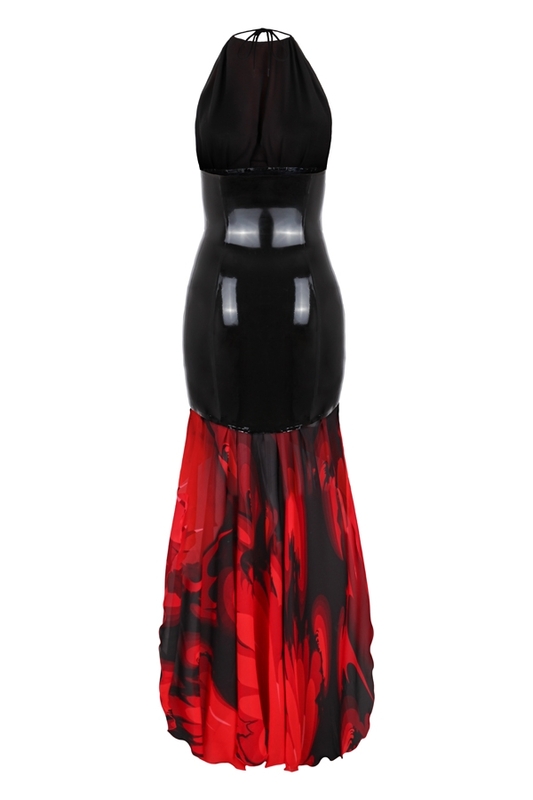 Long dress made of chiffon and latex, which is cut short at the front and long at the back. 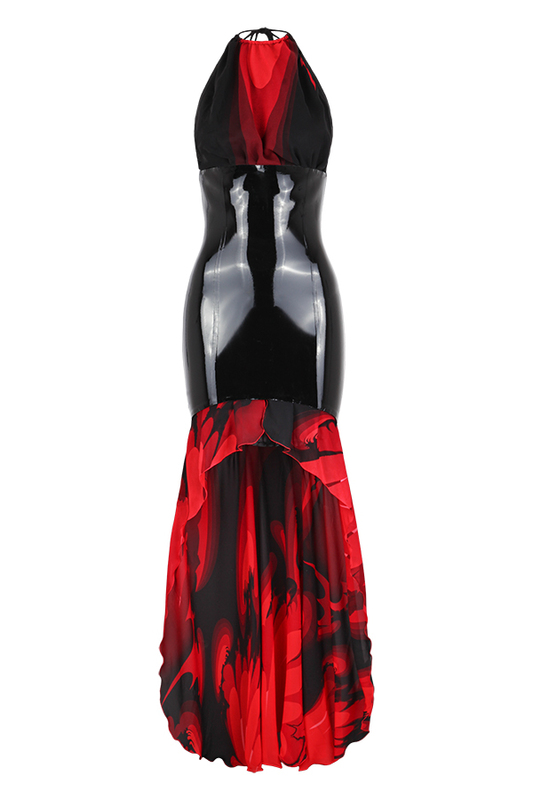 The hem has delicate red trim. The dress is closed with a cord at the neck.